At Restore SD Plastic Surgery, we are fortunate enough to have patients visit us from out-of-town – regionally, nationally and internationally. Our practice is located in the beautiful La Jolla area just north of downtown San Diego. La Jolla is world renowned for its culture, scenery, and sophistication. For those patients arriving from out-of-town, the closest commercial airport is San Diego International Airport. Private aircraft will want to consider the very efficient Carlsbad Airport or historic Montgomery Airfield. All three are conveniently located within 15 miles from our office, and a variety of 5 star accommodations are nearby in beautiful La Jolla, California. 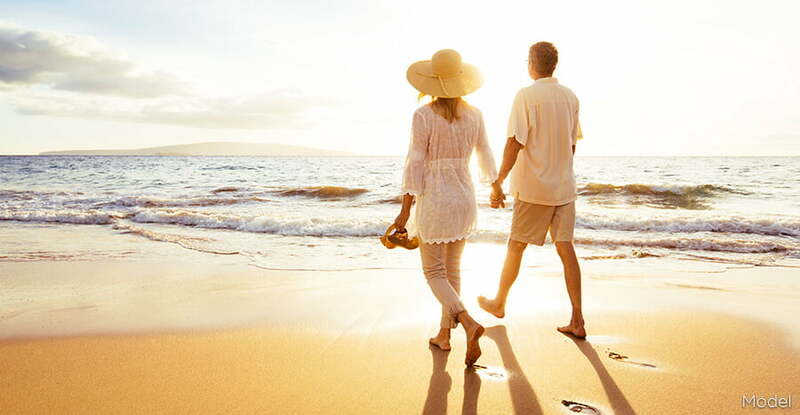 To enjoy the best possible experience, your Restore SD surgeons prefer that you arrive in San Diego at least one to two days before any planned procedure. This will give the Restore SD team the opportunity to meet with you, perform a thorough in-person evaluation, and address any questions you may have. The surgical suites utilized by Restore SD Plastic Surgery are selected with the utmost safety in mind. The facilities are all fully certified by the American Association for Accreditation of Ambulatory Surgery Facilities (AAAASF). To ensure the highest level of care and safety, all surgeries are performed under the supervision of board certified anesthesiologists or experienced Certified Nurse Anesthetists under the direct supervision of an anesthesiologist. At Restore SD Plastic Surgery, patients come from out of town, across state lines, and from different countries around the globe. Internationally, Drs. Douglas and Gallus are regarded for their expertise in aesthetic plastic and reconstructive surgery as well as their dedication to patient safety and uncompromising results. Board certified in the United States and having spent much time abroad as Navy surgeons, Drs. Douglas and Gallus have established strong ties among colleagues, patients and friends worldwide. We are very pleased to receive international referrals from our British, Australian, Canadian, Belgian, Netherlands, and UAE colleagues. Because the Restore SD surgeons are sought after internationally, we have established “Virtual Consultations” to meet the needs of patients wherever they may live. These communications are enhanced via Skype, FaceTime, and traditional telephone to establish a physician patient relationship well ahead of your arrival in San Diego. Virtual consultation appointments are made in advance to allow optimization for time zone changes. The appointments are coordinated via email and a convenient time selected for video conferencing. Although virtual and remote from our office, these detailed consultations are tailored to meet all of your aesthetic needs and desires. Without ever having to leave the comfort of home, you’ll be meeting with the talented and dedicated Restore SD Plastic Surgery team! Step 1. Please complete our HIPAA compliant consultation form through the patient portal link on our homepage, including your medical and surgical history. We request that you attach photos regarding the aesthetic area(s) of concern. The initial photos should include the front and side views. These photos can be easily attached to your consultation form and sent to our office via secure and HIPAA compliant email. Step 2. Dr. Douglas or Dr. Gallus will personally review each consultation form submitted. Following this, the surgeon or the patient coordinator will respond to you directly. This correspondence will address if you may be a surgical candidate for the procedure of inquiry or if another procedure may be better suited for optimal aesthetic results. After the initial review, a “Virtual Consultation” may be scheduled. We are grateful you would consider our services and welcome all questions while reviewing costs, recovery, and the anticipated length of stay for healing, recovery, and aftercare. Step 3. Typically, we can combine both an in-person visit to confirm the cosmetic or reconstructive assessments on day one followed by the surgical procedure on day two. Based on the in-person evaluation, surgical plans and fees may need to be adjusted to offer the safest and best outcome. We make every effort to be as accurate as possible during the “Virtual Consultation”but can make no definitive plans until an in-person evaluation has been completed. Step 4. Two weeks before surgery, the Restore SD patient coordinator will contact you to review important items such as preoperative guidelines, postoperative care and medications or supplements to discontinue. We will be on hand to help coordinate any medical tests needed either in San Diego or in your local area. Restore SD Plastic Surgery has negotiated “recovery” rates with many local hotels, and we’d be delighted to help you with those arrangements. Additionally, a specially trained nurse can personally assist with your recovery, if requested. Step 5. Generally, patients visit the office several times within 7 to 14 days after surgery. While each patient recovers at a different rate, most are able to return home in about two to three weeks. Step 6. We will tailor your appointment to fit within your schedule and travel arrangements. Oftentimes, “Virtual Consultations” via Skype, FaceTime or telephone will address routine questions, concerns and confirmations. You may rest assured that your aftercare will continue after you return home. The Virtual platform can allow the team to guide you in the recovery process and scar care. *Special Note: The “Virtual Consultation” service offered by the surgeons at Restore SD Plastic Surgery is based only on the medical information and photographs made availeable by the patient through the provided service. This is not an adequate substitute for an in-person office visit. San Diego is a beautiful location year around and enjoys a temperate climate that offers a peaceful and tranquil environment for recovery, healing, and relaxation. There are a great many things to do in San Diego while your friend or loved one recovers from a surgery, laser, or injectable procedure. Please let us know your interests ahead of time and we utilize our social network to help you enjoy the many activities and fine dining experiences that the area has to offer. As long-time San Diego residents and members of the community, we can help point you in the right direction. We are so pleased that you plan to travel to San Diego and allow us the honor of taking care of you. Our goal is to deliver first-class results while making certain your entire experience is as safe, discreet, and comfortable as possible.